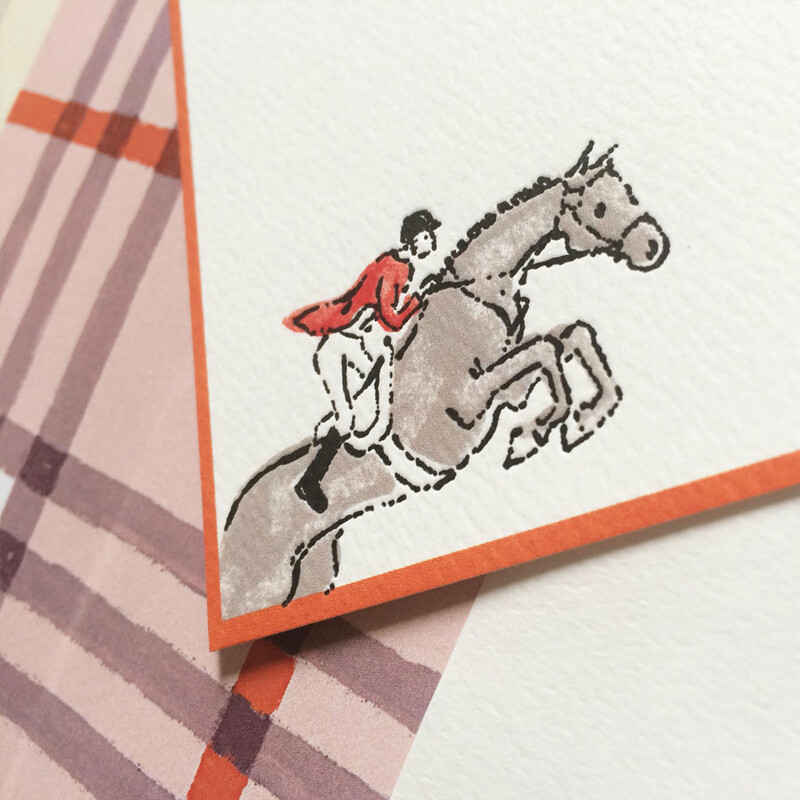 Show jumpers and hunters are traditional English-style equestrian events that goes back to 18th century Europe. 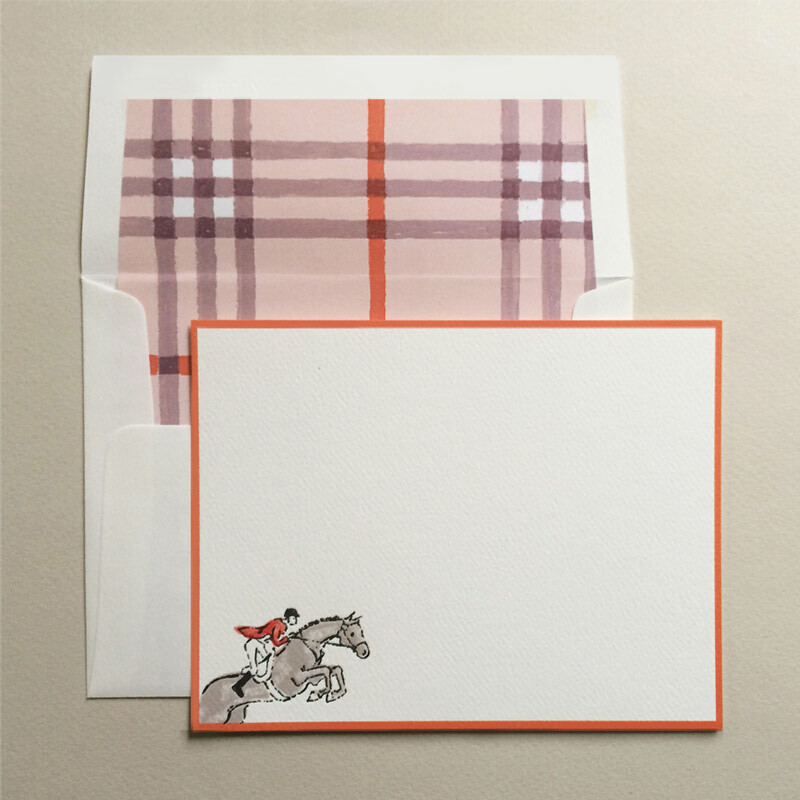 A red-coated rider and handsome grey jumper gracefully leap from the corner of these charming, personal correspondence cards. 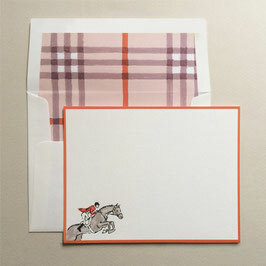 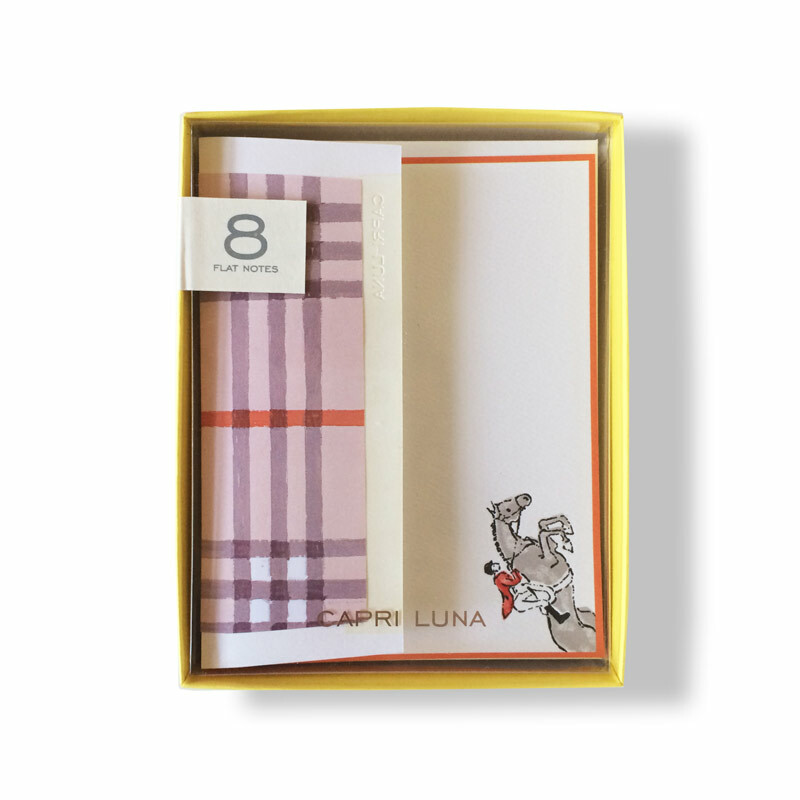 The plaid liner provides a perfect backdrop to the textured, letter pressed, card stock.